So Autumn was here and the wonderful summer was well and truly over, with the weather dropping off dramatically and with it, the number of fish as well. We also find that there are generally less species available during the colder months as well. The action was a bit slow with just the few live baits available, but we put them out anyway. In the mean time we tried for some squid as they can be caught all year round. The jigs are also easier to handle in colder weather as you’re not touching frozen bait all the time. 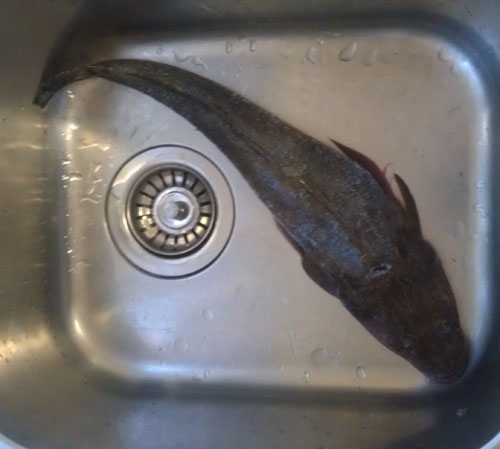 One of the live baits went off in the meantime and up came this flathead of about 50cm. Flathead make great eating, especially dipped in batter for fish and chips. At a price of upwards of $30/kg, they’re a valuable catch as well!